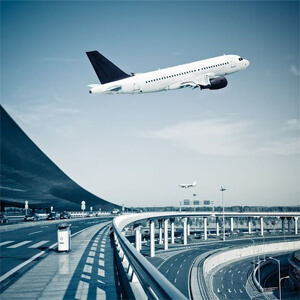 Complications to avail land near city airport for construction of parallel runway has compelled Airports Authority of India (AAI) to form a joint venture with the Dholera authorities. The joint venture, likely to be formed by this week or early next week, will take away a lot of traffic overflow of Sardar Vallabhbhai Patel International Airport (SVPI) which is witnessing a massive increase day by day. "We have been wanting to construct parallel runway at Ahmedabad airport to reduce aircraft wait time. If we get a parallel runway, we will be able to save nearly 5-7 minutes per aircraft. However, we need 65 acres more land," AAI chairman Guruprasad Mohapatra said. "Since Dholera is a promising project, we are eyeing on the same with approval of Civil aviation ministry too. We will be forming joint venture with authorities soon," he added. The Dholera airport is planned to be located in the North of the Dholera Specific Investment Region (DSIR) with a total area of 1426 hectares identified for the airport development. "While Dholera is a bit far from Ahmedabad, as per the space, we can expect wide-bodied long-haul aircraft Airbus 380 to operate. Plans are also for two operational runways to handle more traffic. With the same, one can also expect many international airlines increase their operations in Gujarat," sources at city airport, close to the development, said. A resident from Sardarnagar, that falls on the periphery of the airport said, "Many petitions are going on in the high court for many years as parallel runway will take away our houses. We cannot allow the same. Already, due to security issues, we have been harassed a lot." This year seems to be a boon for the state aviation. Five places in Gujarat have been found feasible for seaplane project including Sabarmati riverfront.